With the retirement of my OLD dentist, I was forced for the first time to take an outside opinion, and it was not at all good. Flossing was an art that I never could master, but these brushes on spring wire in various sizes made me master of my interdental spacers, and the result was a rapid turn-around in my checkups. I think this invention is great and thank Grommet for bringing it to my attention. Really! I love how clean using the product makes my teeth feel. So glad I bought every size to make sure I had the right one for every size space. Love it! I love it! A perfect part of my dental ritual. This is my second purchase of this product and I loved them. I really like the Interdental Brush Set. Easy to use, improves flossing effectiveness on hard to clean pockets. The design helps in alignment. This last order was for my dentist. I waited to share the wingbrush, surprise gift, until I passed my six month check up. 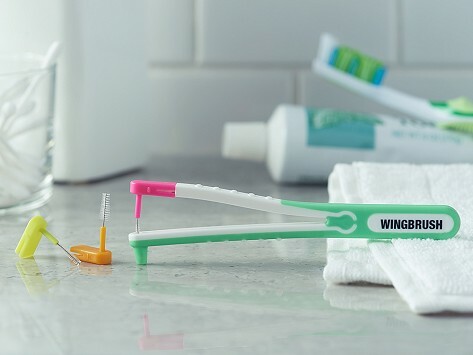 The wingbrush is a great addition to my oral hygiene routine. STILL LOVE IT!! Wow! I love this wingbrush. I can clean between my teeth and bridge area feeling like I actually cleaned food particles completely from my gums. Better than the dental floss. 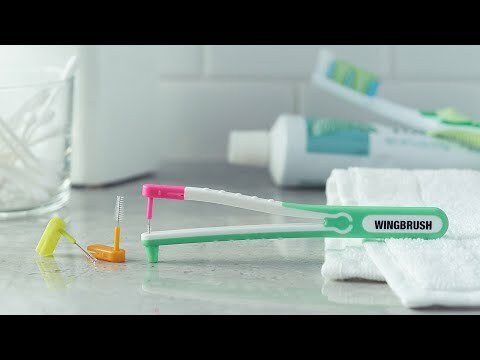 After using this wingbrush, I instantly wanted to purchase a brand new one to give to my dentist. He tells me all the time, " you sure do love your sugar!" He calls me Sugar. The size is perfect to take anywhere. I will reorder. I love the brushes too. The largest size, the orange color, gets in between all areas in my mouth. Thank you for creating this gadget. I love it so much.